Why is this plane significant? 1854 – Walden (first published as Walden; or, Life in the Woods), by Henry David Thoreau, was published by Ticknor and Fields in Boston. 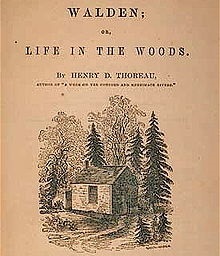 The book was a reflection upon simple living in natural surroundings; detailing Thoreau’s experiences over the course of two years, two months, and two days in a cabin he built near Walden Pond, amidst woodland owned by his friend and mentor Ralph Waldo Emerson, near Concord, Massachusetts. The book compressed the time into a single calendar year and used passages of four seasons to symbolize human development. 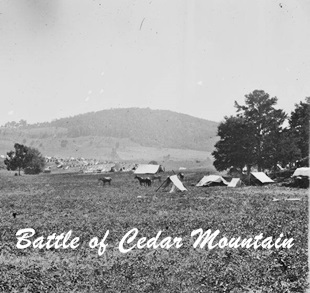 1862 – The Battle of Cedar Mountain took place in Culpeper County, Virginia. Union forces under Maj. Gen. Nathaniel P. Banks attacked Confederate forces under Maj. Gen. Thomas J. “Stonewall” Jackson near Cedar Mountain as the Confederates marched on Culpeper Court House to stall a Union advance into central Virginia. After nearly being driven from the field in the early part of the battle, a Confederate counterattack broke the Union lines resulting in a Confederate victory. The battle was the first combat of the Northern Virginia Campaign. Losses were high in the battle: Union casualties of 2,353 (314 killed, 1,445 wounded, 594 missing), Confederate 1,338 (231 killed, 1,107 wounded). Union General Samuel Crawford’s brigade lost over 50% of its total strength, including most of its officers. 1936 – At the Berlin Olympics, African American track star Jesse Owens won his fourth gold medal of the Games in the 4×100-meter relay. His relay team set a new world record of 39.8 seconds, which held for 20 years. In their strong showing in track-and-field events at the Olympics, Jesse Owens and other African American athletes struck a propaganda blow against Nazi leader Adolf Hitler, who planned to use the Berlin Games as a showcase of supposed Aryan superiority. Contrary to the popular myth, Hitler never directly snubbed Owens. 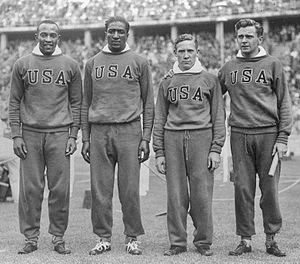 On the first day of competition, Hitler, who had been congratulating German and select other winners, left the stadium shortly after three African Americans swept the high-jump event. Whether Hitler left to avoid shaking hands with non-Aryans is unclear. In the aftermath of the incident, Olympic organizers asked Hitler to either receive all the medal winners or none, and he chose the latter. 1944 – The United States Forest Service and the Wartime Advertising Council released posters featuring Smokey Bear for the first time. A campaign featuring Smokey and the slogan “Smokey Says – Care Will Prevent 9 out of 10 Forest Fires” began in 1944. 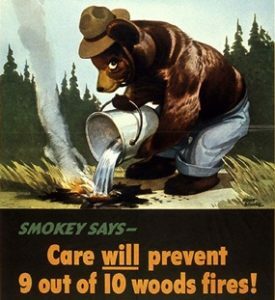 His later slogan, “Remember… Only YOU Can Prevent Forest Fires” was created in 1947 and was associated with Smokey Bear for more than five decades. Smokey Factoid: In 1952, songwriters Steve Nelson and Jack Rollins had a successful song named Smokey the Bear which was performed by Eddie Arnold. The pair said “the” was added to Smokey’s name only to keep the song’s rhythm. 1945 – The devastation wrought at Hiroshima three days earlier was not sufficient to convince the Japanese War Council to accept the Potsdam Conference demand for unconditional surrender, so a second atomic bomb – Fat Man – was dropped on Japan by the United States, resulting finally in Japan’s surrender. The original target was Kokura, but due to cloud cover, and smoke from previous B-29 bomb raids, the target was changed to Nagasaki, 95 miles to the south, the location of two large Mitsubishi armament plants. 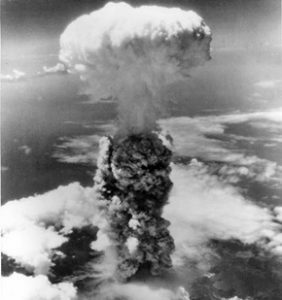 The explosion unleashed the equivalent force of 21,000 tons of TNT. The number killed is estimated at anywhere between 60,000 and 80,000 (exact figures are impossible because the blast obliterated bodies and disintegrated records). President Harry Truman was surprised by the second bombing, coming as it did so soon after the first. The day after Nagasaki, Truman issued his first affirmative command regarding the bomb: no more strikes without his express authorization. 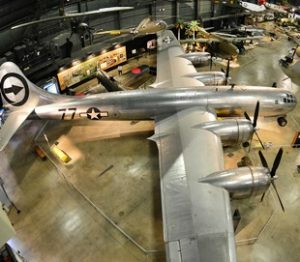 The aircraft carrying the bomb was The B-29 Superfortress ‘Bockscar’, shown at the top of this article. ‘Bockscar’ is on permanent display at the National Museum of the United States Air Force, Dayton, Ohio. 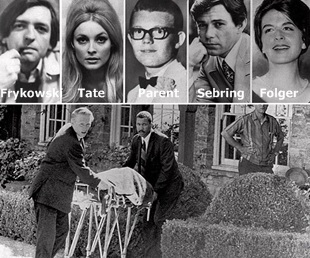 1969 – Shortly after midnight, members of Charles Manson’s cult killed five people in movie director Roman Polanski’s Beverly Hills home; Polanski’s pregnant wife, actress Sharon Tate, noted hairstylist Jay Sebring, coffee heiress Abigail Folger, screenwriter Wojciech Frykowski, and 18-year-old Steven Parent, who had been visiting the property’s caretaker. 1974 – Richard M. Nixon stepped down from the presidency of the United States and was succeeded by Vice President Gerald R. Ford. 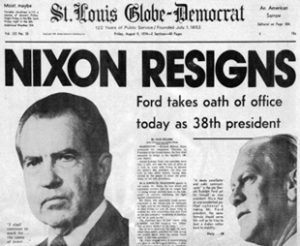 Nixon resigned rather than face almost certain impeachment because of the Watergate scandal, in which he was charged with misuse of presidential powers to violate the constitutional rights of U.S. citizens, obstruction of justice, and failure to respond to House Judiciary Committee subpoenas. Ford, the first president who came to the office through appointment rather than election, had replaced Spiro Agnew as vice president only eight months before. In a political scandal independent of the Nixon administration’s wrongdoings in the Watergate affair, Agnew had been forced to resign in disgrace after he was charged with income tax evasion and political corruption. 1985 – Arthur Walker, a retired U.S. Navy officer, was found guilty of espionage for passing top-secret documents to his brother, who then passed them to Soviet agents. Walker was part of one of the most significant Cold War spy rings in the United States. Walker, his brother, John, and John’s son, Michael, were charged with conducting espionage for the Soviet Union. John Walker, also a Navy veteran, was the ringleader, and government officials charged that he had been involved in spying for the Soviets since 1968. Arthur Walker was sentenced to life in prison and fined $250,000. John and Michael Walker later pled guilty to espionage charges, with John receiving two life sentences and Michael receiving 25 years in prison. 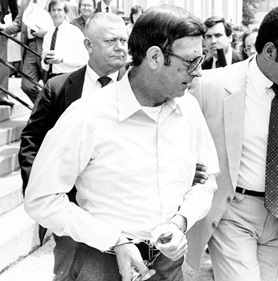 A fourth conspirator, Jerry Whitworth, a friend of John Walker’s, was convicted in 1986 on 12 counts of espionage and sentenced to 365 years in prison. In 2014, Arthur Walker died of kidney failure at a federal prison in Butner, N.C.at the age of 79. In 2014, John Walker died of cancer at a federal prison in Butner, N.C at the age of 77. Jerry Whitworth is an inmate at the United States Penitentiary, Atwater in California. Michael Walker was released on parole in 2000. 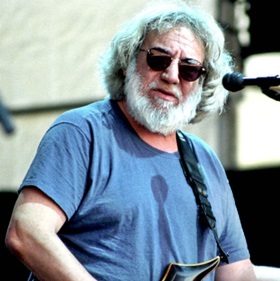 1995 – Like his band the Grateful Dead, which was still going strong three decades after its formation, Jerry Garcia defied his life-expectancy not merely by surviving, but by thriving creatively and commercially into the 1990s – far longer than most of his peers. His long, strange trip came to an end, however, when he died of a heart attack in a residential drug-treatment facility in Forest Knolls, California. A legendary guitarist and true cultural icon, Jerry Garcia was 53 years old. 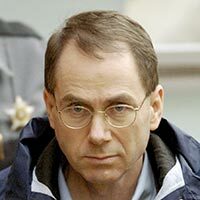 2004 – Terry Nichols was sentenced to 161 consecutive life sentences on state murder charges in the 1995 Oklahoma City bombing. In a 2007 affidavit, Nichols claimed that in 1992, co-conspirator Timothy McVeigh claimed to have been recruited for undercover missions while serving in the military. Nichols also said that in 1995, McVeigh told him that FBI official Larry Potts, who had supervised the Ruby Ridge and Waco operations, had directed McVeigh to blow up a government building. Those claims were dismissed by government officials. 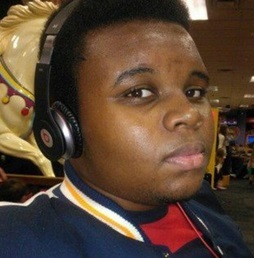 2014 – Michael Brown, an 18-year-old black man, was fatally shot by Darren Wilson, 28, a white Ferguson, MO police officer. The disputed circumstances of the shooting of the unarmed man sparked existing tensions in the predominantly black city, where protests and civil unrest erupted. The events received considerable attention in the U.S. and elsewhere, generating a national debate about the relationship between law enforcement and African Americans, and about police use of force doctrine in Missouri and nationwide. On November 24, 2014, St. Louis County Prosecutor Robert McCulloch announced the St. Louis County grand jury had decided not to indict Wilson. On March 4, 2015, the U.S. Department of Justice reported the conclusion of its own investigation and cleared Wilson of civil rights violations in the shooting. It found forensic evidence supported the officer’s account, that witnesses who corroborated the officer’s account were credible, and that witnesses who had incriminated him were not credible, with some admitting they had not directly seen the events. Compiled by Ray Lemire ©2018 RayLemire.com. All Rights Reserved.